WASHINGTON (AP) — Hillary Clinton’s former chief of staff, Cheryl Mills, and two other staff members were granted immunity deals in exchange for their cooperation in the now-closed FBI investigation into Clinton’s use of a private email server as secretary of state, says a Republican congressman. Rep. Jason Chaffetz, chairman of the House Oversight and Government Reform Committee, told The Associated Press on Friday that Mills gave federal investigators access to her laptop on the condition that what they found couldn’t be used against her. Democrats on the committee said Friday the immunity agreements were limited in scope and did not cover statements made to investigators or to potential testimony before Congress. Still, Chaffetz said he was “absolutely stunned” that the FBI would cut a deal with someone as close to the investigation as Mills. By including the emails recovered from the laptops in the immunity agreements, the Justice Department exempted key physical evidence from any potential criminal case against the aides. Copies of the immunity agreements were provided to the House oversight committee by the Justice Department this week under seal. “Congressman Chaffetz continues to abuse his office by wasting taxpayer dollars to try to second-guess the FBI in what amounts to a desperate attempt to boost Donald Trump’s chances against Hillary Clinton,” Fallon said. A yearlong investigation by the FBI focused on whether the Democratic presidential nominee sent or received classified information using the private server located in the basement of her New York home, which was not authorized for such messages. FBI Director James Comey said in July that his agents hadn’t found evidence to support any criminal charge or direct evidence that Clinton’s private server had been hacked. He suggested that hackers working for a foreign government may have been so sophisticated they wouldn’t have left behind any evidence of a break-in. Chaffetz said in addition to Mills, others granted immunity include John Bentel, then-director of the State Department’s Office of Information Resources Management, and Heather Samuelson, a senior adviser to Clinton. Beth Wilkinson, the lawyer representing Mills and Samuelson, said the text of the immunity agreements show investigators considered her clients “to be witnesses and nothing more.” Her office declined to provide copies of the agreements to AP. The latest revelation brings the total number of people who were granted immunity as part of the FBI’s investigation to at least five. It had previously been reported immunity had been granted to Bryan Pagliano, a tech expert who set up Clinton’s email server, as well as Paul Combetta, a computer specialist for a private firm that later maintained Clinton’s email setup. Chaffetz said he is looking forward to asking Comey questions about the immunity deals when Comey testifies Wednesday before the House Judiciary Committee. Chaffetz is also a member of that panel. Mills, who was among Clinton’s closest confidants, voluntarily appeared last year for a lengthy interview as part of the House GOP’s investigation into the 2012 attack on a U.S. diplomatic compound in Benghazi, Libya, that left three Americans dead. Pagliano and Combetta, however, have refused to testify before Congress by invoking their Fifth Amendment rights against self-incrimination. On Thursday, the GOP-led House oversight committee voted along party lines to hold Pagliano in contempt of Congress for failing to comply with its subpoena. Friday evening, the FBI released 189 additional pages of documents from its investigation, including notes of agents’ interviews with Mills, Samuelson, Bentel, close Clinton aide Huma Abedin and foreign policy adviser Jake Sullivan. The highlights of the interviews were previously summarized in the FBI’s investigative report released earlier this month. 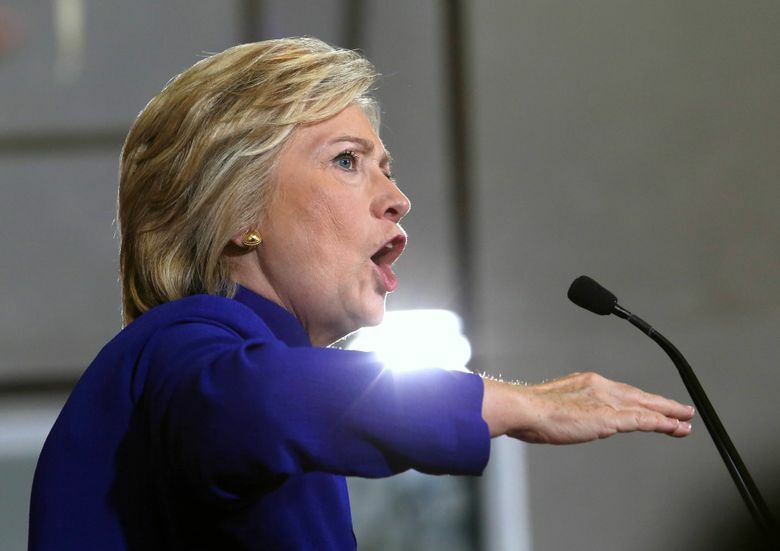 Many of the documents released Friday were heavily redacted by the FBI, but some provided new details about the agency’s extensive investigation into Clinton’s email use. Included was a summary of FBI’s interview with Marcel Lazar, a Romanian hacker who went by the name Guccifer. In it, Lazar admits he lied to a Fox News reporter about hacking Clinton’s email server, though he had seen her private email address and some exchanges with her after successfully accessing the AOL account of Clinton friend Sidney Blumenthal in 2013. The new FBI documents also reveal that Clinton occasionally exchanged messages with President Barack Obama, who used a pseudonymous email address. Those exchanges have not been made public among the tens of thousands of Clinton emails released thus far by the State Department. Disappointed the FBI didn’t recommend criminal charges, congressional Republicans are seeking to keep the issue of Clinton’s email use alive through the November election. Clinton has called her use of the private server a mistake. In a statement, the campaign of the Republican presidential nominee criticized both Clinton and the Justice Department. Associated Press reporter Eric Tucker contributed from Washington.